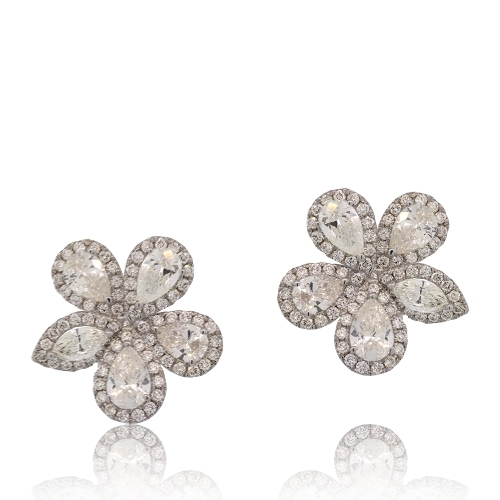 Pear-shape, marquis & round diamonds bordered by round diamonds in a floral setting of 18k white gold. Diamonds approx. 3.77ct. Earrings .75"